Saw a Facebook Video that you must download to your PC or Mobile? It could be a video shared by a friend, video you shared directly on Facebook, a funny video on a page, something educational or something cute you want to save on your device forever. Good news is, You can easily download Facebook videos to your device without the need for any software or an app. You can download any video on Facebook whether it is from a friend’s timeline, from a page or a group. Without further ado, let’s get into step by step guide to saving video from Facebook to your device. Before you can download the video from Facebook, you need to find the video(if you don’t see it already on your newsfeed) and copy its link. If you have the video on your Facebook newsfeed or you have a direct video link, then you can go to the next step. But if you don’t have it, first find the video. To find a video on a Facebook page, Go to that page and head over to the video tab as shown in the image below. Once you find the video, click on it to open it. Now you have the video, After opening it using the above step, copy the link as shown in the images below. Now you have the link of the video you want to download. Let’s get to the next step on how to download that video. No matter where your favorite video is, It can be on a Page, a Group or Friend’s profile, you can download it, you just have to get the link. Which you already got. Now we can download and save that video from Facebook to your device without the need to install any third party software. There are numerous websites from where you can download Facebook videos directly by pasting your video link. FBDownloader.net is the best Facebook video download website we often use ourselves. It is fast, easy and effective. To download video from FBDownloader.net, Open the website, paste your video link in the field and click Download. After you hit download, you’ll get the option to download the video in Standard quality or HD quality. Click on the button depending on what resolution video you need. That should download the Facebook video instantly to your device. If you want to download a video from private/closed Facebook groups, the above trick won’t work. But FBDownloader has a new option to download private videos, Use FBDownloader Private Video Download Link to download videos from private Facebook groups. See how simple is that?! You might not be aware of this new Facebook feature. Facebook now allows you to save any video you like to your private collection on Facebook itself. So you don’t need to download the video to your computer or mobile to save it, you can keep it on Facebook’s database and see it anytime you want. Saved videos are completely private and only you can see your saved videos. You can also create a collection of different videos. So you can create a collection of funny videos, a collection of your personal videos, and so on. 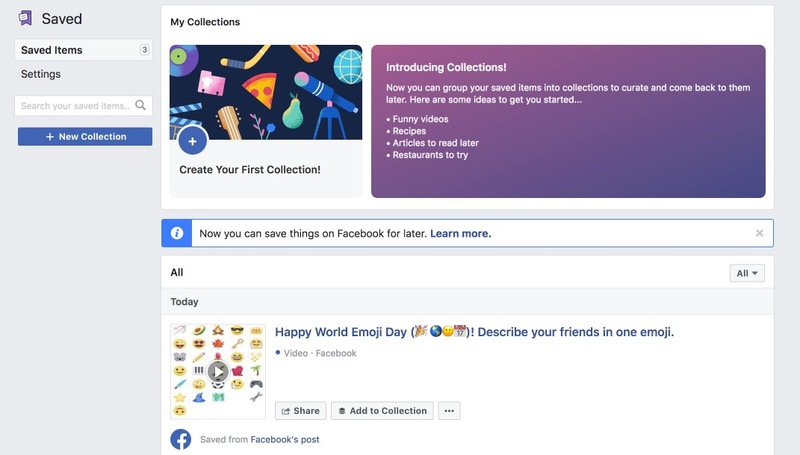 It’s really easy to save a Facebook video to your collection. Once you click on the “Save Video” option, that video will instantly be saved into your account. You can visit https://www.facebook.com/saved/ anytime to watch your saved videos. In our opinion, Saving video to your account is better than downloading the videos. By saving the Facebook video to your account, you’ll have access to it forever on any device, while if you choose to download it, it’ll take up space on your device and you might need to delete it some day. 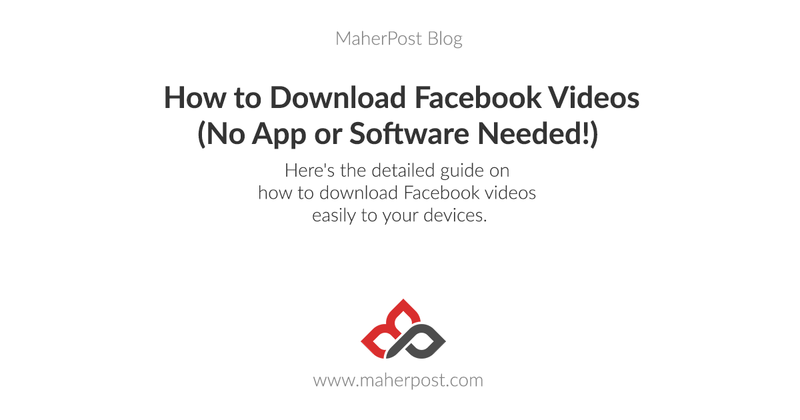 As you can see from this guide, downloading a Facebook video to your device or saving it to Facebook itself, is very easy to do. And the best thing is, you don’t need any unnecessary software or apps for that. If you like a video, download or save it, you might enjoy it someday. That concludes our tutorial on how to download Facebook videos. If you know any other method worth mentioning, do comment below!